Click here to view Tim's Memorial Service. 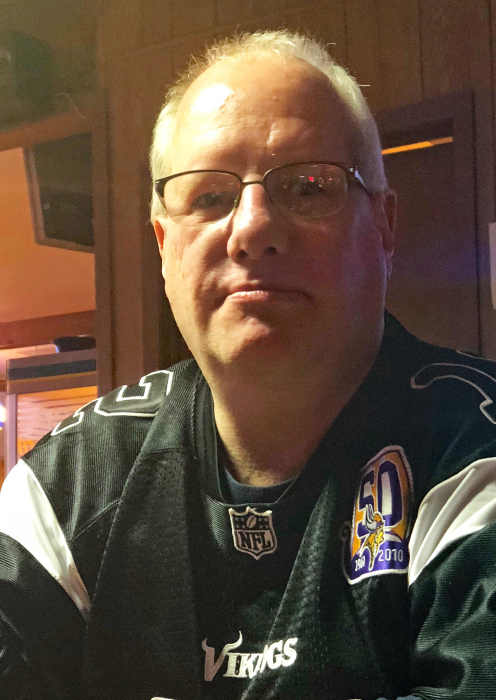 Tim T. Beck, 56, of Aberdeen, passed away Monday November 19, 2018, at his home. His wishes were to be cremated. Memorial services will be 1:00 p.m., Monday, November 26, 2018, at Schriver’s Memorial Mortuary and Crematory, 414 5thAvenue NW, Aberdeen, with Pastor Jeff Whillock, of Bethlehem Lutheran Church, officiating. Burial will follow at Sunset Memorial Gardens in Aberdeen. Visitation will be one hour prior to the service at the mortuary on Monday. Family and friends may sign Tim’s online guestbook and also view his service via the live stream service link at www.schriversmemorial.com. Tim T. Beck was born August 1, 1962, to Rueben and Irene (Libis) Beck in Aberdeen, SD. This is the area where he was raised and attended school, graduating from Aberdeen Central High School with the Class of 1981. Following graduation, Tim made Aberdeen his home and began what would become a 37-year career working at Burger King. He was currently employed there at the time of his death. In his spare time, Tim loved watching sports and was an avid fan of the Minnesota Vikings, Twins, and the Minnesota Wild. He also greatly enjoyed being a member of a dart league in Aberdeen. Grateful to have shared in Tim’s life are his siblings: Janice (Don) Heupel of Eureka, SD, Virginia Bauer of Aberdeen, Pat Miller of Chandler, AZ, Bob (Diane Billings) Beck of Bradenton, FL, Vicky Beck of Aberdeen, Paulette (Ken) Aipperspach of Thornton, CO and twin brother, Scott (Lisa) Beck of Aberdeen; as well as many nieces and nephews. Tim was preceded in death by his parents and brother-in-law, Milbert Bauer.